Safety gear (ice cleats, helmet recommended. Paid guide highly recommended). 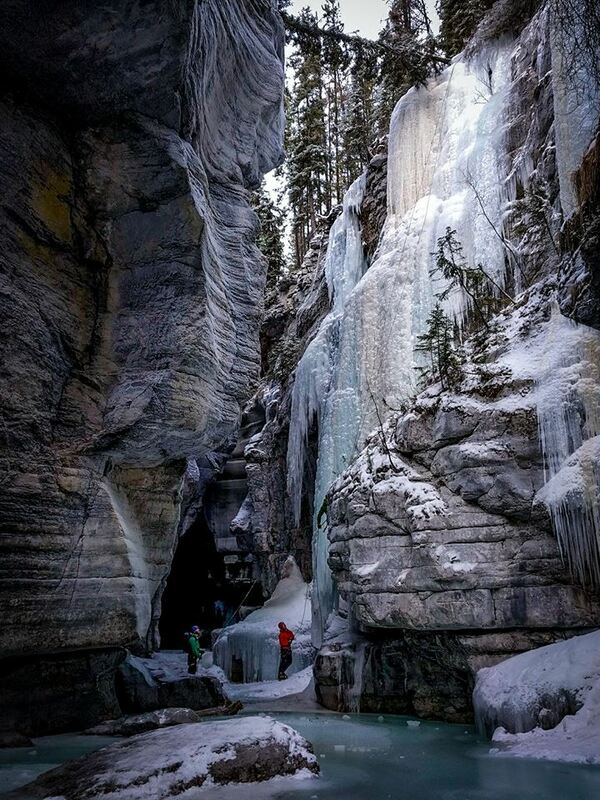 The Maligne River freezes on the surface in winter, allowing one to walk on it, and also to ice climb. The water beneath the ice is still flowing, and empties into the Athabasca river. 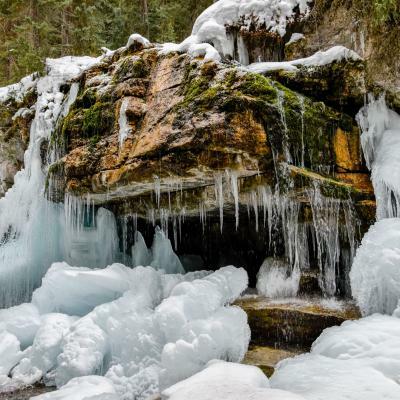 Some areas of the canyon floor is slippery, and also ice layer could be thin. Drive from Jasper. Enter canyon at 5th bridge.